Over the years, Kerala has been host to various citizens from around the world. Some came to Kerala as refugees (Jews) while some as tradesmen/invaders/missionaries (Dutch, Portugese, Syrians and the list goes on). Almost all the Jews have left Kerala for good and the others have more or less disappeared as semi-Indians or have left the place. But it comes as a surprise to those in Kerala to still find die hard citizens from Italy! Two Indian fishermen were shot to death by Italians for reasons only they know. The only plausible reason could be that they were drunk or were using them as targets for their practice shots. As for their claim that they mistook them for pirates, if they are indeed sailors or were guarding a ship, they should by now know the area where pirates roam freely. What if the Indian Navy had responded in kind since it was an unprovoked attack on Indian citizens? There were 9 fishermen in this boat and while 7 of them were resting, only two were fishing. And also a fisherman with a fishing rod has never been a threat to anyone and if people wielding guns and binoculars cannot properly identify threats then the only solution is to put such criminals behind bars. And when the state is in the process of doing so, comes an Italian citizen hiding behind his Indian citizenship assuring Italy that he will do all his best to bring the innocent boys back to Italy. He even has the audacity to tell the Italians that he has already spoken to the Christian ministers. The only sane course of action would be to strip such idiots off their Indian citizenship and pack them off to Italy. But since they have the “laborious” task of tending their sheep, let them stand in queue for a visa and be denied a visa. Right now everyone including the Chief Minister to the said Cardinal is denying this news. But the following is directly from the source. Fides news agency was formed to provide current news and images not only for publication in missionary magazines, but also for other press in all countries. The Friar tells Fides what the atmosphere in Cochin is like: "People are pretty angry, but it is also stirred up by the media and politicians. The problem in public opinion is that this murder was seen as a national outrage. In any case it seems that the public outcry is decreasing. The fishermen killed were Catholics and the Catholic community feels touched. But this story has nothing to do with religion, one must not stimulate nationalism or religious sentiments. The only thing we hope is that the Church can bring a word of peace. I think that, after questioning, the case can be clarified and the Italian soldiers can be freed. It is only a matter of justice. Now, how did this friar come to the conclusion that these Italian soldiers can be freed? And today I read that the FIR filed by the police is in such a way that will aid the killers. Yes, they may go scot free while the poor family will have to struggle without the sole bread winner. Mockery of justice is becoming all to common these days. 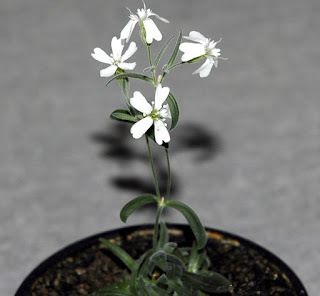 It is with delight that I read the news that Russian scientists have grown a plant belonging to the ice age (30,000 years ago) by using the tissue from a fruit found buried in a squirrel’s burrow. Now that this is possible, one can rest assured that no species of plant life will go extinct, if at least a part of it is preserved. Sure, a mammoth may not be as scary as a dinosaur; but why should the scientists stop with a mammoth? I guess one need not wait for a nuclear holocaust to end the current civilization; the dinosaurs may carry out this task more efficiently! But then with sadness, I remembered that this truth did not help her. We know that the life of a celebrity is not an easy one, but many singers we know have survived the madness of limelight. Or is it because she could not let another help her? Had she learned to depend only on her own self and thus lost the healing touch of others? 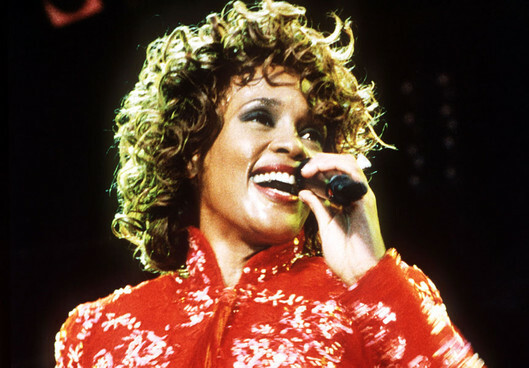 May she rest in peace while her songs continue to heal others. Because I am an INDIAN! Says Ipsos, the 3rd global market research company. Ipsos began tracking happiness in the 24 countries in 2007 conducting it twice annually until March 2010 when the survey became monthly. Examining the timeframe between April 2007 and October 2011 invites the question: are we happier now than we were then? But since I am in the age group (35-49), I am supposed to be less happier than those who are under the age of 35 (25%) and as I grow older, I may not be happier! ISPOS also found that it is citizens in Europe who drag the global average assessment of happiness downward as only one in six (15%) say they are ‘very happy’. 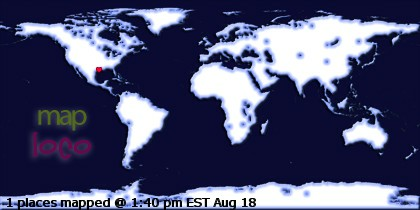 Not sure what has come over blogger.com. Not only am I getting unwanted traffic from sites like localhost and such others but I am also losing comments that I post on other blogs. 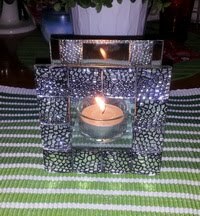 The other day I almost lost my blog! Since I did not have a recent backup of my blog, it was a shocking moment. Luckily all I had to do was log into my account- but the problem with the pishing sites is still there. Upon googling I find that it is not only me who is facing this problem. The unwanted attention is mostly from Bulgaria. Anyway I am very happy today since I finally found the book! It was a book that captured my heart and imagination during my school days. But I have no idea how it came into my hands. I do not think it was from my mother's collection since I have not seen it again. It could have been from the local club or the school library. All I could remember was Rosy the elephant whose antics the author had written so well. I checked for the author among the humor genre but couldn’t locate this book. Since it was an animal story, I wondered if it was James Herriot and ended up reading much about him but couldn’t find this particular book. Finally the author's name popped up from a blog post and suddenly I knew my search was over. I had found my Rosy. But since much has changed over the years, do I want to read this book again? Will it give me the same pleasure? 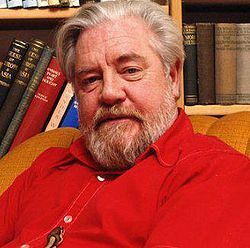 Wikepedia says Gerald "Gerry" Malcolm Durrell, OBE (January 7, 1925 – January 30, 1995) was a naturalist, zookeeper, conservationist, author and television presenter. He was born in Jamshedpur, and reportedly recalled his first visit to a zoo in India and attributed his life-long love of animals to that encounter. Durrell's growing disillusionment with the way zoos of the time were run, and his belief that they should primarily act as reserves and regenerators of endangered species, made him contemplate founding his own zoo. His 1957 trip to Cameroon for the third and last time was primarily to collect animals which would form the core collection of his own zoo. This expedition was also filmed, Durrell's first experiment with making a cinematographic record of his work with animals. The success of the film To Bafut with Beagles, together with his popular and autobiographical radio programme Encounters with Animals, made Durrell a regular with the BBC Natural History unit for decades to come, as well as generating much-needed funds for his conservation projects. 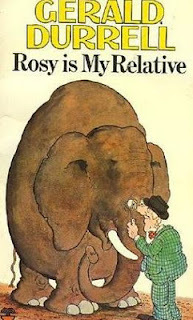 “Rosy is my relative” was one of the only three novels that he wrote. It is about an elephant bequeathed to Adrian (protagonist of the novel) by an uncle. ALTHOUGH MANY PEOPLE will not believe me, I would like to place it on record that this is an almost true story. By this I mean that Rosy and Adrian Rookwhistle really did exist. I had the privilege of meeting Rosy myself. Nearly all the adventures described in this book really happened. I have merely embroidered and polished here and there. Rosy stole my heart right from the time she landed at Adrian’s home and continues to give me a warm feeling. Gerald must have developed his love for elephants during his stay in India. Adrian began to wonder if the shocks he had already received that morning had unhinged his mind. It was bad enough having to cope with an acrobat, without finding himself suddenly saddled with, of all things, an elephant. Then, suddenly, he had an awful suspicion. “What’s its name?” he asked hoarsely. At the sound of her name the elephant swayed to and fro gently and uttered a small squeak, like the mating cry of a very tiny clarinet. She was shackled inside the dray by two chains padlocked round her front legs, and they made a musical clanking noise when she moved. She stretched out her trunk seductively towards Adrian and blew a small puff of air at him. Oh God, thought Adrian, I’d much rather it was a drunken acrobat. Let me get back to my long lost friend Rosy.